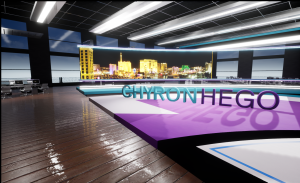 ChyronHego (Booth SL1208) is introducing Fresh, a graphics-rendering solution that integrates Epic Games’ Unreal Engine 4 (UE4) with ChyronHego’s augmented-reality (AR) and virtual-set (VS) software. In addition, the company is highlighting the comprehensive upgrade of the ChyronHego-based arena-graphics systems at the Dallas Cowboys’ AT&T Stadium in Arlington, TX. Fresh makes news, weather, or sports look more real than ever because the AR graphics — including text and titles — are all completely integrated into the Unreal scene. 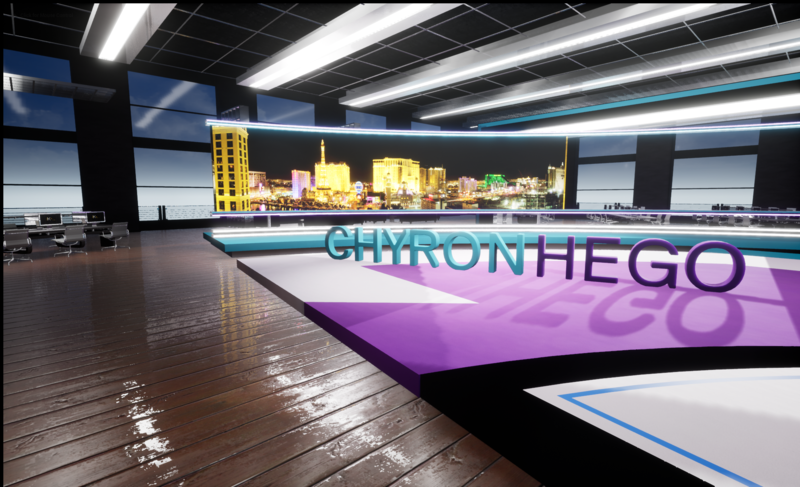 Fresh, ChyronHego’s new graphics-rendering solution that integrates Epic Games’ Unreal Engine 4 with ChyronHego’s augmented reality and virtual set software. An industry first, Fresh includes a robust primitive library with 3D graphic objects, including text, that is fully integrated into the UE4 environment. This feature enables producers to add eye-catching titles and other 3D elements quickly and easily without having to rerender them for the gaming engine. The built-in primitive library sets Fresh apart from other AR broadcast-graphics systems that require the broadcast elements to be created in a traditional graphics-rendering engine and then added as a separate layer on top of the Unreal scene. Not only does this requirement add more time and complexity to the process — a liability during a breaking news or weather event — but the resulting graphics lack the realism and “look” of the gaming engine. With Fresh, however, the graphics are rendered as part of the UE4 scene and carry the same photorealistic and hyper-realistic look as the other scene elements. Through a seamless integration with ChyronHego’s CAMIO, Fresh enables a MOS-driven workflow that automatically incorporates any AR/VS element into the station’s familiar news environment. This integration makes it even easier for producers to tell a better story because AR graphics are part of the news rundown along with every other graphic element and all other parts of the broadcast lineup. Headlining the arena-graphics upgrade at AT&T Stadium project is Click Effects PRIME, ChyronHego’s integrated graphics toolset for delivering live arena- and stadium-based A/V presentations to any canvas size with any number of outputs in any resolution. Click Effects PRIME — along with the latest versions of ChyronHego’s LyricX, Paint, and Virtual 1st — is ushering in a new era of 4K production on the LiveFX end-zone board. LiveFX end-zone board at AT&T Stadium went live with 4K video clips and graphics driven by Click Effects PRIME for the 2018 football season. The Cowboys’ first LED to display 4K content, and the team’s first Click Effects PRIME installation, is the large LiveFX end-zone board. Used primarily for game support graphics, such as replay videos and fan entertainment during breaks, the board went live with 4K video clips and graphics driven by Click Effects PRIME for the 2018 football season. For the 2019 season, all Dallas Cowboys cameras will record in 4K, and the team will expand Click Effects PRIME to larger numbers of displays. Eventually, Click Effects PRIME will drive 4K graphics to every display in AT&T Stadium, including the huge center-hung LED board, two levels of ribbon boards, gap boards over the four entrances, and more than 3,000 smaller screens located throughout the stadium. The new native GPU-based technologies in Click Effects PRIME give the system the power to deliver HD and UHD content to multiple screens simultaneously and synchronize multiple outputs in native resolutions. This capability makes possible “Moments of Exclusivity,” or MOEs, in which the team is able to trigger multiple displays throughout the stadium network and display a single, exciting graphic on each: for example, a large “Touchdown!” graphic when the Cowboys score or an eye-catching image of a key player at the instant he reaches a lifetime career record. 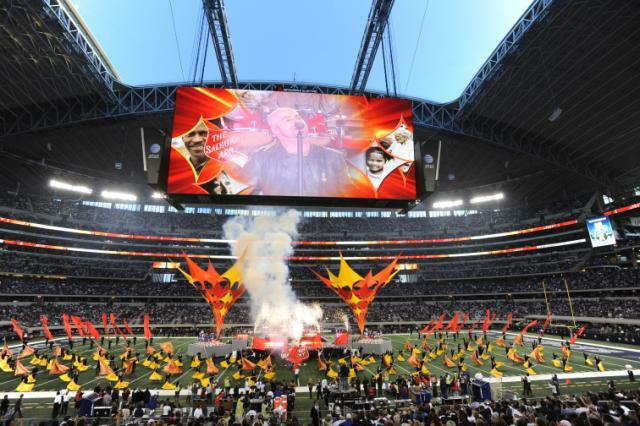 In addition to Click Effects PRIME, the Dallas Cowboys are upgrading to the latest versions of the LyricX graphics creation and playout solution, Paint telestration tool, and Virtual 1st “down-and-distance” football graphics tool. The Cowboys’ deployment of Paint and Virtual 1st is unique, with inputs from two separate cameras delivering north and south views to the center-hung screen to give each fan the best possible viewing angle. Paint and Virtual 1st are able to calibrate both inputs quickly and automatically to show the virtual first down line and enable telestrated explanations of replays from any vantage point on the field.